Directorate of primary is now published Primary School Job Exam New system 2017. Every year Directorate of primary published job circular for the post of Assistant teacher of primary school. 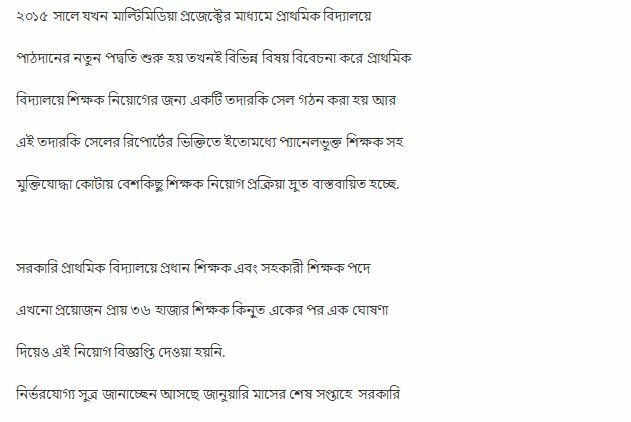 Now Bangladesh Directorate of primary published a important notice for Primary School Job Exam. There are 10000/15000 people every year join this profession of Directorate of primary. Govt.Primary Asst School Teacher Jobs Circular 2017 will be published soon.Ministry of Primary and Mass Education of Bangladesh Government has announced this circular. When the circular will be published the Directorate of primary i will update this circular in my website. Primary School Job Exam New system 2017 related notice found my website below.